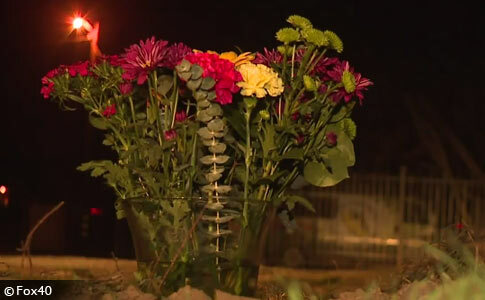 Flowers mark where Deborah Onsurez, 56-years old, was killed by dogs in Modesto. UPDATE 01/03/18: Seven dogs believed to be involved in the mauling death of a woman have been captured. Authorities identified the dogs by using images from surveillance cameras on businesses near the attack site. On Saturday, Stanislaus Animal Services and Modesto Animal Control located five of the dogs, one was dead and another was injured, both believed to be hit by cars. The injured dog was put down. The remaining three dogs were brought to the shelter. Two more dogs were captured in traps on Sunday and Monday. The five dogs were placed on a 72-hour hold. No owner is expected to reclaim them. "They are not adoptable; when the time comes all will be euthanized, "Animal Services Agency Executive Director Annette Patton said. "In the area of Crows Landing Road there are a lot of stray dogs. It is an ongoing battle for us and the community out there. We can easily round up 30 stray dogs ... in a half day," Patton explained. The captured dogs were a variety of mix-breeds, including: doberman pinscher, German shepherd, Queensland heeler, labrador and pit bull. Six puppies believed to belong to one of the impounded dogs were also captured in a den area near the attack site. The puppies, despite being the prodigy of fatally attacking dogs, will be available for adoption in several days. Of the six puppies, all appeared to be German shepherd-mixes except for one black-and-white pit bull-mix. Modesto, CA - Authorities believe that loose dogs killed a woman Thursday morning in Modesto. 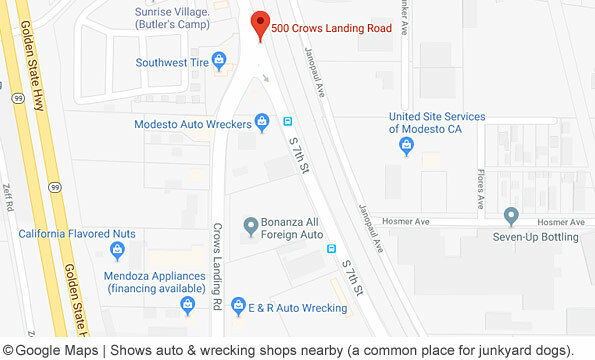 Emergency responders were dispatched to the 500 block of Crows Landing Road about 7:50 am, states a release from the Stanislaus County Sheriff's Department. When deputies arrived, they found the body of Deborah Onsurez, 56, in the driveway of a business. She was pronounced dead at the scene. It's unclear why there is a "stray dog" assumption this early in the investigation. 99% of all fatal dog maulings are inflicted by "owned" dogs -- not strays, which lack ownership. 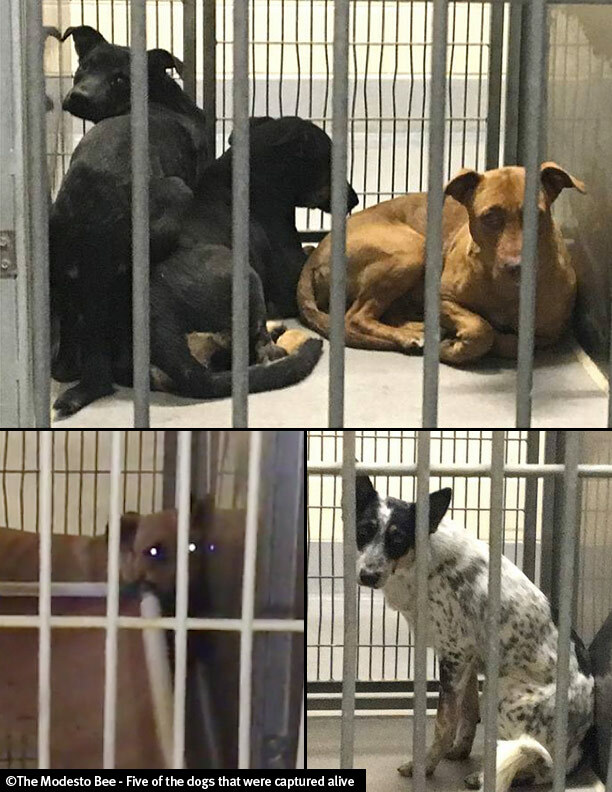 Deputies and Stanislaus County Animal Services can't find these alleged ownerless "stray" dogs either. 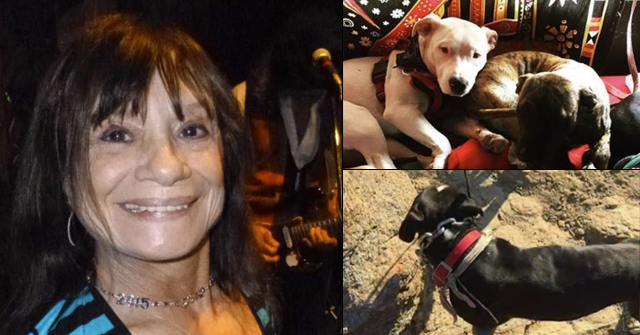 Last year in nearby Fresno County, the at large dogs of Harold Matthews mauled to death Valente Lopez Aguirre, 58, and indirectly caused the death of Robert Simonian, 74, who drowned after trying to flee the same pack of dogs. The fatal attacks happened about 2.5 months apart. Modesto, CA - On 12-28-2017 at about 7:50 a.m., deputies and emergency services personnel were dispatched to a 911 call of an unresponsive person in the 500 block of Crows Landing Road. 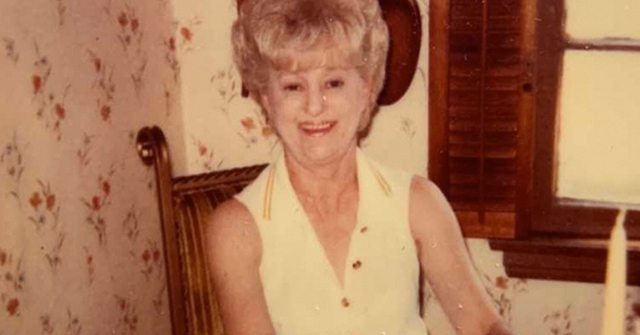 When deputies arrived, they found the body of 56-year-old Deborah Onsurez of Modesto in the driveway of a residence. Onsurez had severe injuries to her body, and she was pronounced deceased at the scene. Detectives were called out to assist with the investigation. The preliminary investigation led detectives to believe the decedent was killed by stray dogs. Deputies and Animal Control officers searched several businesses in the immediate area, and no stray dogs were found. Detectives do not have any information on the breed or ages of the dogs. We are working together with Stanislaus County Animal Services and the City of Modesto Animal Control to find the dogs responsible for this needless death. Deputies and animal control officers will be in the area of the 500 Block of Crows Landing Road on 12/30/17 to search for the stray dogs. The Sheriff’s Office and Animal Control are asking for residents in the area to be careful. If you see any stray, vicious or aggressive dogs in the area, please stay away from them and call Stanislaus County Animal Services at 558-7387, the City of Modesto Animal Control at 552-2470 or the Stanislaus County Dispatch at 552-2468. If you have any tips, you can leave an anonymous tip by calling Crime Stoppers at (209) 521-4636. Tipsters can also e-mail tips at http://www.modestopolice.com/CrimeStoppers, or text them to CRIMES (274637) by typing "Tip704" plus the message and be eligible for a cash reward. In 2014, four pit bulls residing at 828 Glenn Avenue in Modesto, which is about 2 miles from the 500 block of Crows Landing Road, escaped their property and savagely attacked two people killing one, 59-year old Juan Fernandez. 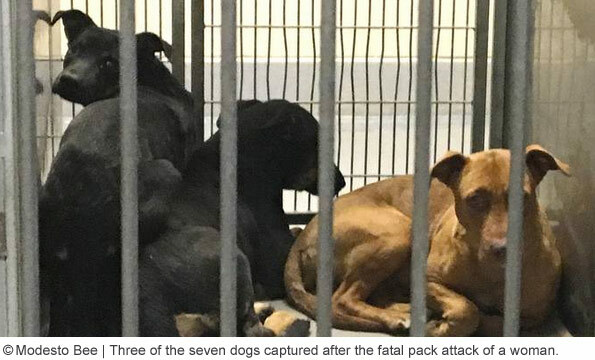 “I’ve never seen anything like this in the history of my career -- four dogs simultaneously attacking and killing a human being,” said Stanislaus County Sheriff Adam Christianson back then. Now he's seen a fatal dog mauling twice in his career. "The Sheriff’s Office and Animal Control are asking for residents in the area to be careful. If you see any stray, vicious or aggressive dogs in the area, please stay away from them and call Stanislaus County Animal Services at 558-7387, the City of Modesto Animal Control at 552-2470 or the Stanislaus County Dispatch at 552-2468." I have lost track of the times I've seen NextDoor posts about some adorable stray that someone has found. And it's a pit bull. Ditto for Facebook. I see similar posts there. People, if you see a dog that you don't already know, stay away from it. Call the authorities and let them deal with it. That's why you pay taxes. This exemplifies why freeroaming dogs cannot be tolerated. The chances that those dogs were "strays" are slim to none. Someone's dogs came home covered in blood, the owner washed them off, and went about their business. I absolutely do not buy this roving band of stray dog story. That's some 3rd world BS. This poor, innocent woman was savaged to death and these bloodsoaked mankillers were nowhere to be found? Not likely. If I had to guess, I'd say someone has these dogs and knows what they've done. If that's the case, they're sick. 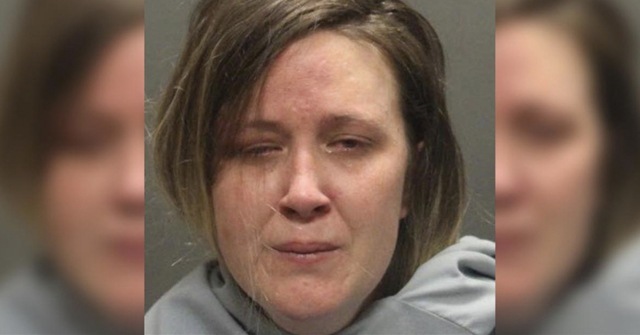 This woman, her loved ones, and the citizens of Modesto deserve some answers, and someone needs to be held liable for her death. There are KILLER DOGS walking around right now, and God only knows who's next. Or what if they are "strays" and some rescue picks them up and tries to adopt them out to some unsuspecting person or family? That's mind blowingly frightening! Thinking of Deborah's family. I pray they get some answers about her horrific death. K-Hart: I was thinking the same thing. Start with the neighborhood pit owners, in other words, the usual suspects. Check the records for complaints about whose dogs keep getting loose. We posted it to Facebook, initially not knowing about the GoFundMe page, which celebrates her pit bull advocacy — and now is also using a different top photo. The first photo was vastly worst. What started as a very newsworthy attack, quickly unraveled. The details are sketchy too, about what the dog owner did and did not tell her about the dog's history. Did she know the dog had been legally declared dangerous? The case is still being investigated (he said/she said). Yes, the puppies are cute–but they're too big of a risk and shouldn't be adopted out! Their parents killed a person! Unbelievable. What breed or breeds are they? I thought a pit bull would be involved! Most of those dogs look pit mix to me. Did you see the 5 spread photo? There are 2 that died and we will never see. But indeed pit-mixes were involved. But all dogs are the same. You can't have breed specific laws. How many times do we have to hear this crap. 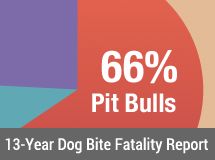 BSL for the whole country would save many lives and we would have less people dealing with terrible injuries that somehow survived attacks from theses dogs. Indeed responsibledog guy. Who really benefits from the unchecked proliferation of a kind of dog most people don't want? Backyard breeders, dog fighters and pit rescues.